I love elephants and have many a times posted on ‘Alwar’ ~ the temple elephant of Thiruvallikkeni that was so endearing to all residents. 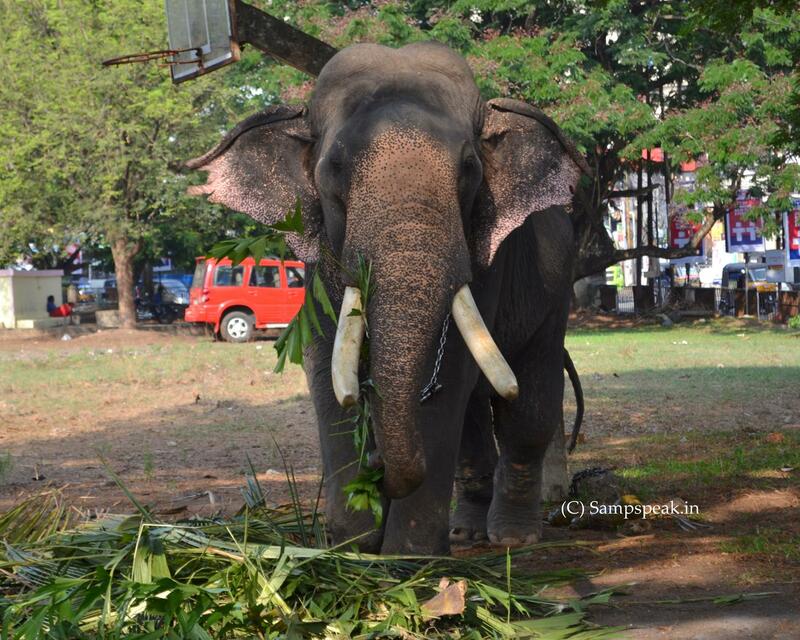 A few months back this elephant at Thrissur appeared so majestic. 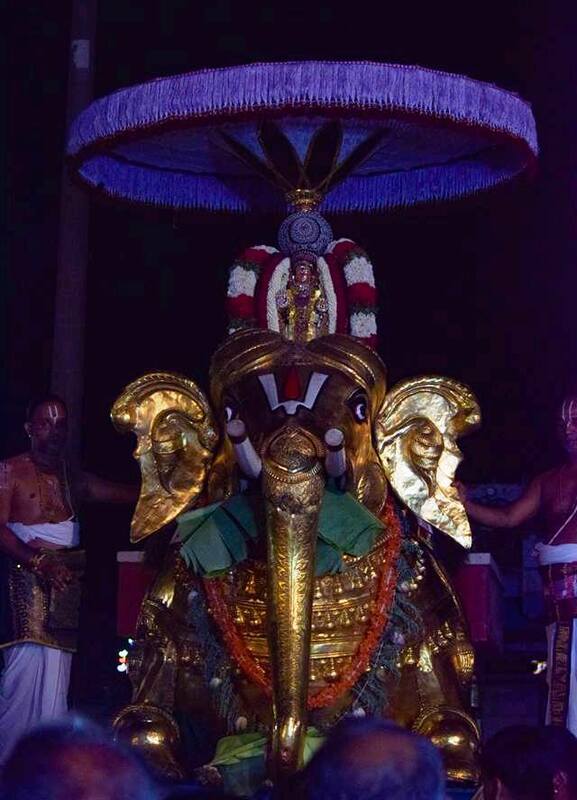 Nearer, Guruvayur devaswom maintains scores of elephants. 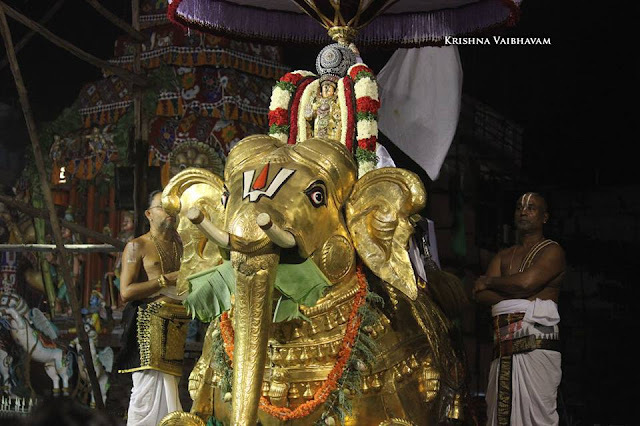 Gajarajan Guruvayur Keshavan perhaps the most famous and celebrated captive elephant. Standing over 3.2 meters tall, Keshavan was known for his devout behavior. 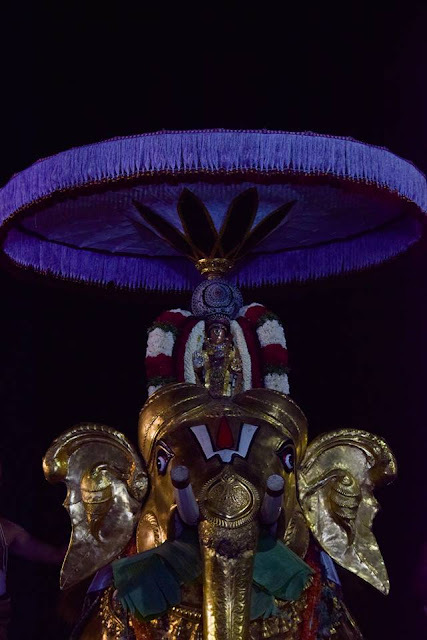 The anniversary of his death is still celebrated in Guruvauyur with many elephants lined up before the statue and the chief elephant garlanding it. The Guruvayoor Devaswom erected a life-size statue of Keshavan in its precincts as tribute to the services he rendered to the presiding deity of the temple. Its tusks, along with a majestic portrait of the elephant, are seen adorning the entrance to the main temple enclosure. Its life is the subject of the 1977 Malayalam feature film Guruvayur Kesavan, released the year after his death. 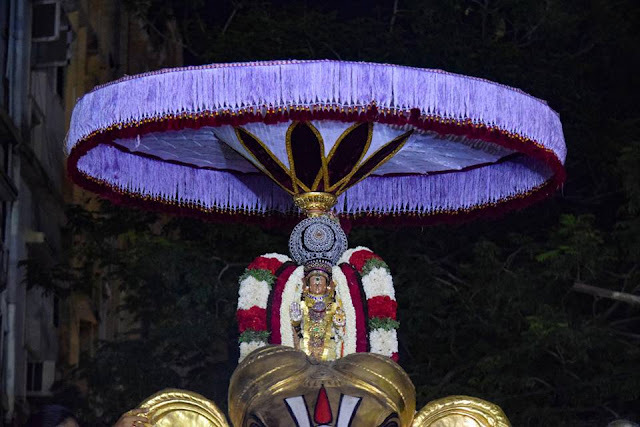 At Thiruvallikkeni divyadesam, on day 6 evening, it is ‘Yaanai vahanam’ for Sri Azhagiya Singar ~ the one at Thiruvallikkeni is in sitting posture with golden hue. திருவல்லிக்கேணியில் சிறப்புற நடைபெறும் தெள்ளிய சிங்கர் ப்ரம்மோத்சவத்தில் ஆறாம் நாள் இரவு கம்பீரமான யானை வாகனம். திருவல்லிக்கேணி யானை வாஹனம் அமர்ந்த நிலையில், தங்க பூச்சுடன் ஜொலிக்கும். வாகனத்தின் மீது வெண்பட்டுடுத்தி, பெருமாள் பின்பு பட்டர் அமர்ந்து சாமரம் வீசி வருவது தனி சிறப்பு. யானை வாயில் வாழை மரங்கள் வைத்து, நிஜமான களிறு ஓடி வருவதைப் போல் இருக்கும். யானை வாகன புறப்பாட்டில் 'ஏசல்", "ஒய்யாளி" என்று அழைக்கப்படும் சிறப்பு உண்டு. 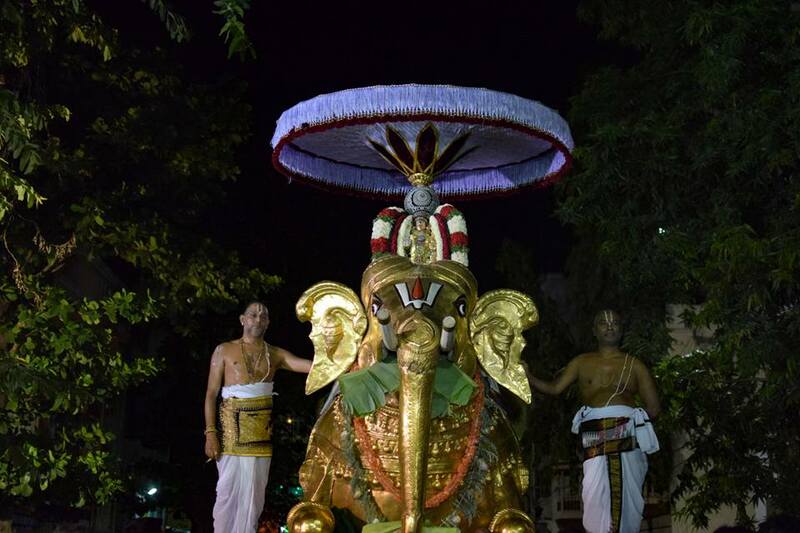 Here are some photos of the purappadu ~ one of Kanakaraj kumar and rest of Thirumalai Vinjamoor Venkatesh.